Another one bites the dust – where is 2015 going… anyone…? That being said (see what I did there!) it’s good to step back and just be, just be yourself, let your gut lead you, based on your primal gut feelings of what’s best for you and those around. It;s also good to just stop and observe the world around you and examine how you feel that you fit into it. Is this how you want to be? For me the purpose of the last few years has been to ensure that I get what I want from my life from a purely personally perspective, regardless of career, as society so largely defines us by. I have been achieving my sense of “beingness” pretty successfully of late, although recognize that it takes effort and practice and is an on-going journey… how about you? 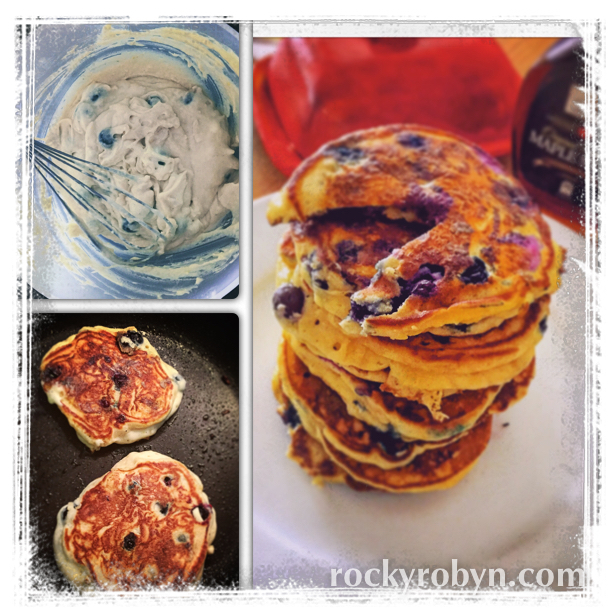 June’s recipe – blueberry, almond pancakes. This month I am yet again catching up with writing up June’s cooking too. I made the most wonderful dreamy blueberry and almond pancakes – they’re to die for! I’ve made them more than once and also tried them with raspberrys and nutella in them – Om Nom Nom Nom Nom… Who ate all the pancakes – I did! We enjoyed them so much Mark is whipping up another batch as I type this for us to take camping this weekend. 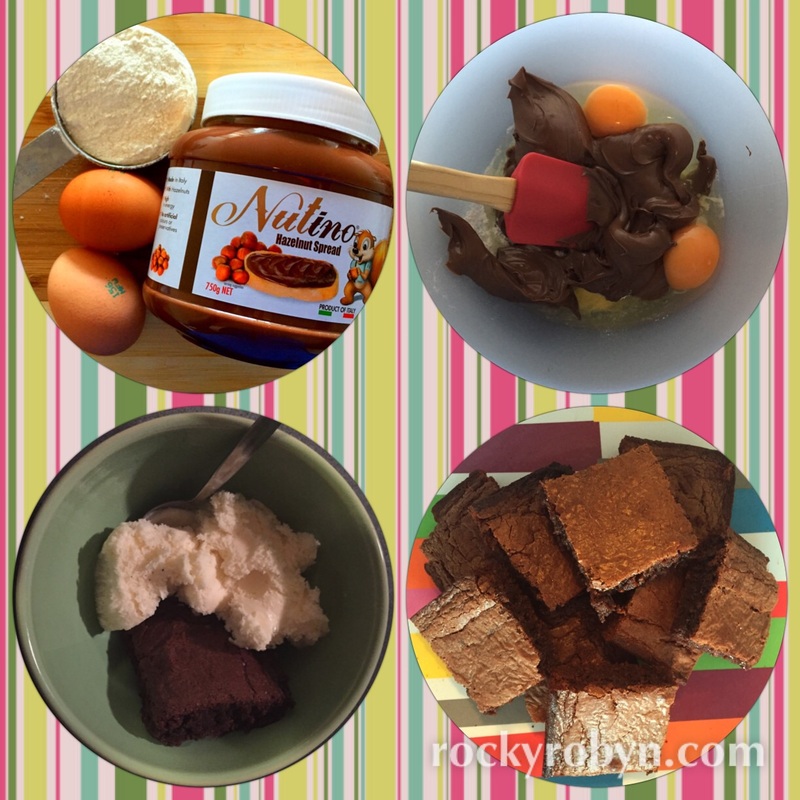 Recipe can be found here… I didn’t use almond milk, as the supermarket had sold out, I used rice milk instead. With that in mind I decided to make a tasty cheese and chive “tear and share” bread. Everyone seems to be going on about tear and share breads these days – they seem to now be a thing. Honestly this isn’t something that requires a recipe – just buy a nice loaf from the bakery, cut a grid into it and stuff it full of whatever you fancy. 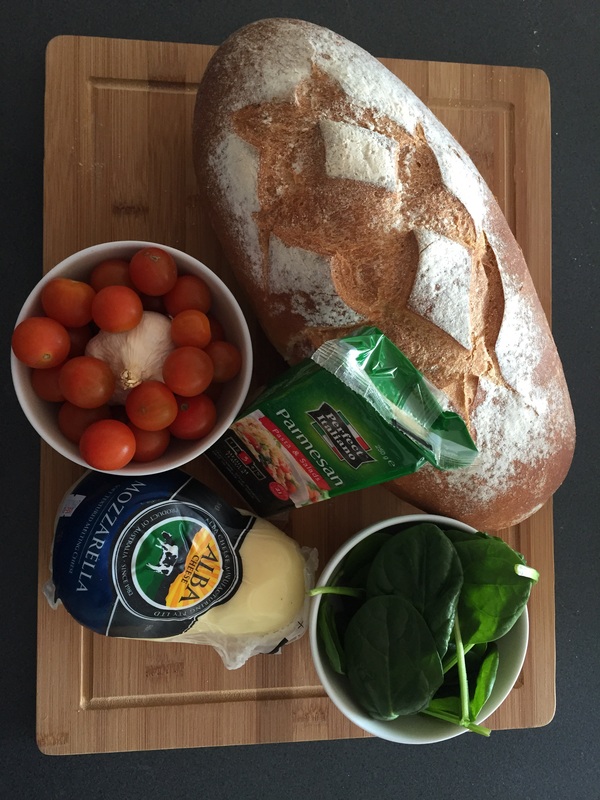 I used mozzarella, spinach, tomatoes, garlic and a bit of Parmesan cheese. I then baked it in the oven until the cheese was hot and gooey. I don’t remember making the plate – I essentially just ate bits of it off the baking tray… It lasted a few days and reheated well too… If you want to see how stunning it looked when it pulled it out of the oven check out my instagram @rockyrobyn84. I also decided that I was craving full on comfort food but didn’t want to go too heavy on the pasta etc. 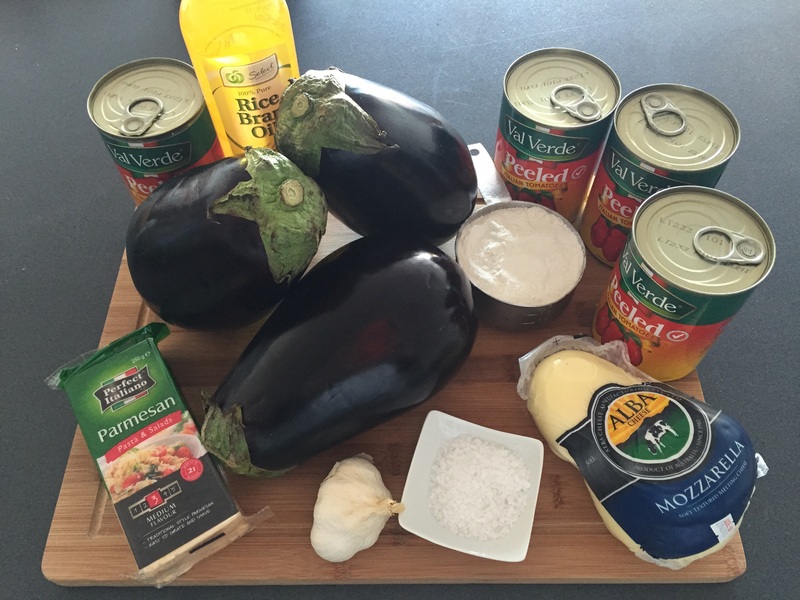 So with my old faithful lasagne out of the window I decided to try making eggplant parmigiana. This took a fair amount of prep time (read hours…) but was definitely worth the pay off! I used a recipe from Food52, a website where you can lose days of your time – you have been warned!This was so tasty and comforting – like a hug for the stomach!I was so enamored by it that I even flew a portion of it up to site for Mark to try, so that he didn’t miss out! I am definitely adding this to the list of winter favourites.The photo looks like a dogs dinner – but don’t let it fool you! It’s pure deliciousness! I love you, thank you for an amazing year. I can’t wait to see what the next year brings! 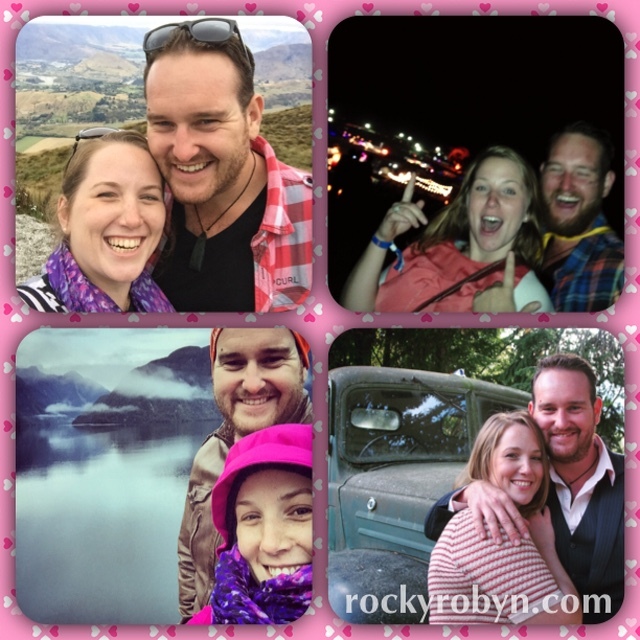 This entry was posted in 30@30, Uncategorized and tagged 30@30, 30at30, Cooking, inspiration, love, quote. Bookmark the permalink.